Planning for birthdays and holidays is where I have the most fun and sometimes the most anxiety. I always put so much thought and preparation into my gifts because I want them to come from the heart and be touching. I have been successful in making my father in law tear up a few times with past gifts so the heat is on to make every other present special or unique but I'm running out of ideas. 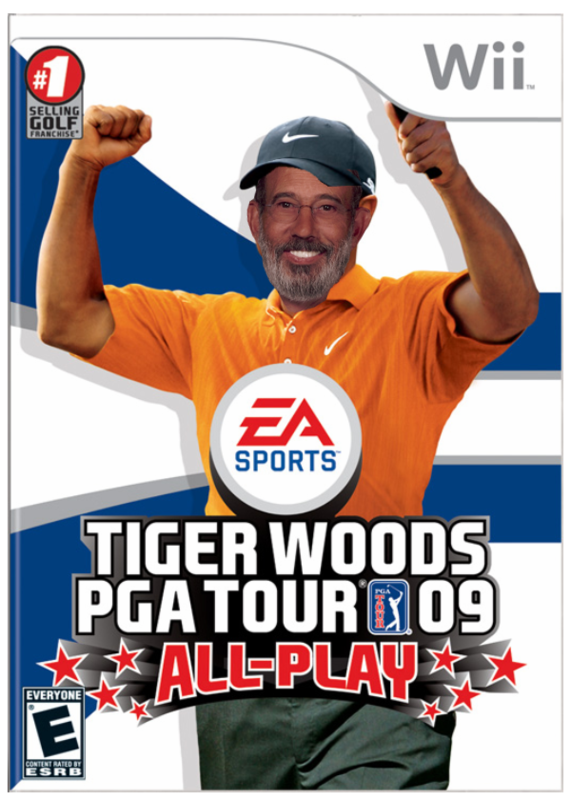 Luckily, my mother in law bought him a Wii console and I found out he loves the Tiger Woods games so without knowing what game to get him, I decided a gift card would be ideal along with a picture of his favorite golfer. 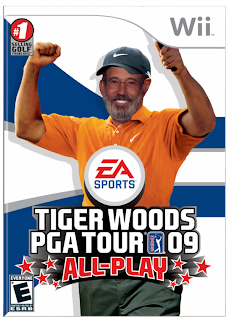 I copied and pasted a Wii cover image of one of Tiger's games and pasted on the head of my father in law. It took some manipulation but I got it to work. Inside, I placed the gift card and the note. I didn't make him cry but he did love it! It's a very easy gift to make!